Rent The Sanctuary Hotel's Haven Rooftop & Tender Restaurant | Corporate Events | Wedding Locations, Event Spaces and Party Venues. The Sanctuary boasts New York City's exclusive rooftop destination- Haven Rooftop, while Tender restaurant and Lounge offers premiere NYC dining with an event space and private room. -We are committed to creating a sanctuary of your very own. 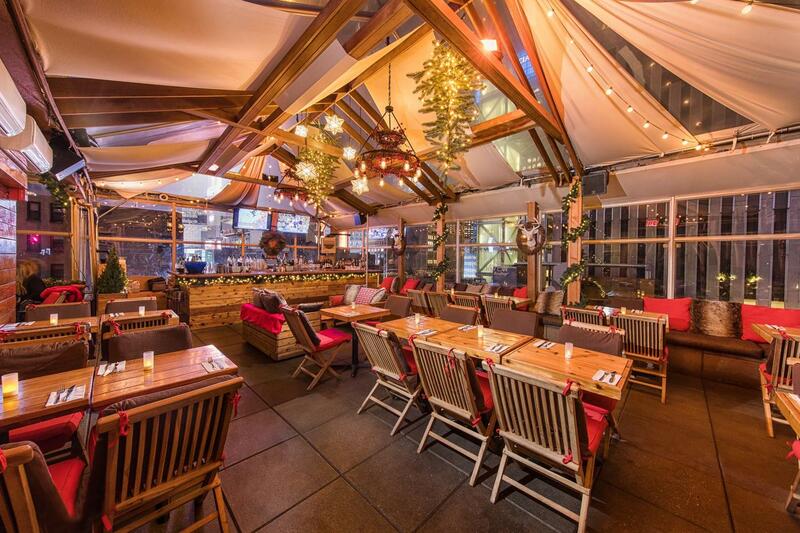 Haven Rooftop is open air and filled with sunshine in the summer, but is fully tented & heated with clear walls providing the spectacular views of midtown Manhattan in the winter. We are thrilled to open our spectacular venue exclusively to you. Whether you’re hosting a corporate event, a casual cocktail party, or your companies holiday party, the Haven Rooftop will dazzle friends and colleagues. Downstairs, Tender Restaurant is an innovative steakhouse that captures the essence and flavors of upscale American cuisine with an enticing sushi menu that delivers fresh and healthy Japanese delights. We are pleased to offer guests an exclusive and elegant private dining room. Our private dining experience is designed to feel like your own luxurious dining room in the heart of New York City.